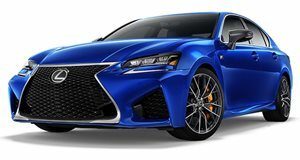 With a naturally aspirated 5.0-liter V8 under the hood, you’d think the Lexus GS F was developed 15 years ago. The driver involvement suggests the same. But this modern sports sedan is just woefully underpowered with just 467hp being sent to the rear wheels via an 8-speed automatic and torque vectoring rear differential. No special trims exist, but the optional heads-up display is a worthwhile investment. Safety features include blind spot monitors, rear cross traffic alert, and a rear-view camera. 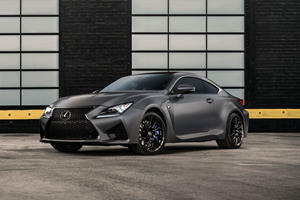 The Lexus RC F is a bit of a hit and miss affair as a performance coupe – not quite competitive enough, nor refined enough to really make itself a worthwhile offering. It would stand to reason that the larger GS F sedan would suffer the same fate – lumped with the same naturally aspirated V8 and even more weight. It’s severely underpowered when rivals like the new M5 and Mercedes-AMG E63S boast 600hp, but instead the GS F reminds us of a time when performance was simpler, more approachable, and more enjoyable. This is the E39 BMW M5 reincarnate. Just as we’ve come to expect from Lexus, the GS F is built for real people. That means ingress and egress is simple due to wide door apertures, and once inside, the space feels natural and comfortable. Five occupants will find space aplenty both front and rear, and the driver will enjoy excellent forward visibility and a great seating position in wonderfully molded sport seats. Interior quality is as premium as you’d expect from Lexus, with a multitude of leather, veneer, and in this sporty model carbon fiber, adorning all surfaces. The chunky steering wheel looks a bit awkward, but feels great in hand. But the downside to the interior is one that’s becoming a recurring feature for Lexus – the infotainment system is unique in its mouse-like joystick operation, but it’s a burden to use and would be better as a plain touch screen or with a rotary controller. 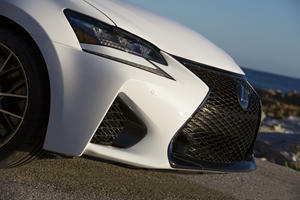 Adaptive damping is a standard for this category of sport sedan, but until this year the GS F did without them. It’s better off for their inclusion though, as the ride can now switch between being firm and being supple at the press of a button. The dampers do a fine job of ironing out bumps in the road, though rough surfaces still make their presence felt. 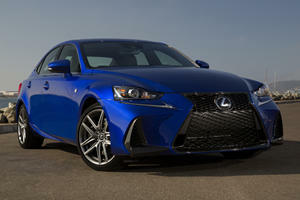 But the handling of the GS F is its real strong suit. It tears through twisting roads with alacrity and a fluid nature that involves the driver. The well weighted steering is syrupy and malleable in hand, and the on-the-limit responses of the chassis make this feel like an old school driver’s car. The underwhelming power means the chassis is exploitable – a trait missing in modern nuclear sedans that threaten to make use of your funeral policy if you make use of the throttle. With such an enjoyable chassis, it’s a pity the engine doesn’t offer more. In this segment, natural aspiration no longer suffices, and the 5.0-liter V8’s 467 horsepower and 389 lb-ft of torque are just too weak compared to 600hp rivals. An 8-speed automatic transmission is standard, as is rear wheel drive. The gearbox isn’t as snappy as rivals’ ZF sourced autos and dual-clutch units, but performance still isn’t sluggish. 0-60mph takes just four and a half seconds, but the GS F is outdated and outgunned by almost anyone else. Standard equipment is generous on this top of the range GS F, with dual-zone climate control, heated and ventilated 10-way power adjustable front seats, and navigation on a 12.3-inch display all standard. Options are limited to a Mark Levinson premium sound system, orange brake calipers, a color heads-up display, and split 10-spoke alloy wheels. The Lexus GS range scored best possible safety scores of Good from the IIHS, thanks so safety features like blind spot monitoring with rear cross traffic alert and a rear view camera. A unique style just isn't worth the effort.